The local 4-H club worked here yesterday. Nola talked to the kids about the purpose of the rescue and why she does it. 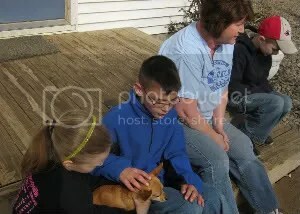 She shared some of the dogs’ stories with the kids and told them how hard the rescue works to get them healthy and find them new homes. 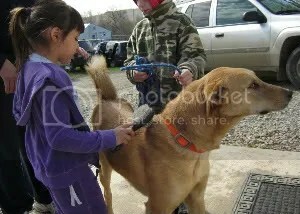 The 4-Hers came to the rescue to groom and play with the dogs. The kids had a blast cuddling, chasing and brushing them! It was so much fun watching the excitement on the kids’ faces. The dogs were all very patient with the kids. 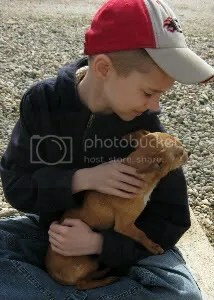 Some of the kids were a bit rough, but the dogs stayed calm. After the kids had some time to get to know some of the dogs, she got them all set to walking and brushing. I’m not sure who was having more fun; the kids or the dogs! The dogs’ tails were all wagging and the kids were smiling and laughing. Watching the kids walking dogs was a little like watching a rodeo. 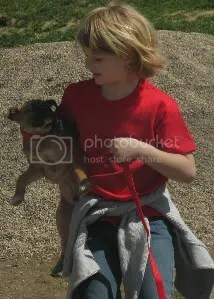 Some kids were running with a dog in tow. Others were being dragged behind dogs. Nobody seemed to be bothered by being pulled, though. 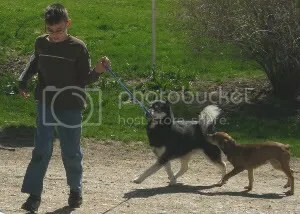 The kids who were being dragged were so proud that they were “walking” the dogs! One of the dogs is going to her forever home tomorrow and desperately needed a bath. She’s pretty afraid of people, so Nola hadn’t been able to give her a thorough bath yet. We got her cleaned up and one of the girls snuggled her in a towel until she was dry. She looked so much better when she was clean! Before they headed back home, I gathered everybody together for a picture. 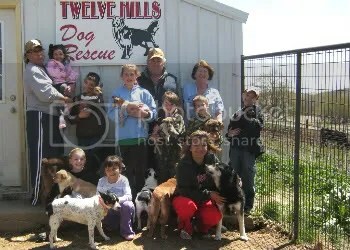 The kids each grabbed a dog and we let the others run around in the group and posed under the rescue’s sign. I got a great picture of them. I think the kids had a great time helping out.